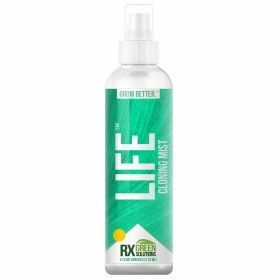 LIFE Cloning Mist contains essential ingredients and anti-stress bioactive molecules designed to facilitate and increase root development and aid in stress recovery. This foliar product comes in an easy and ready to use spray application bottle and can be used during cloning or propagation on stock plants and/or cuttings. 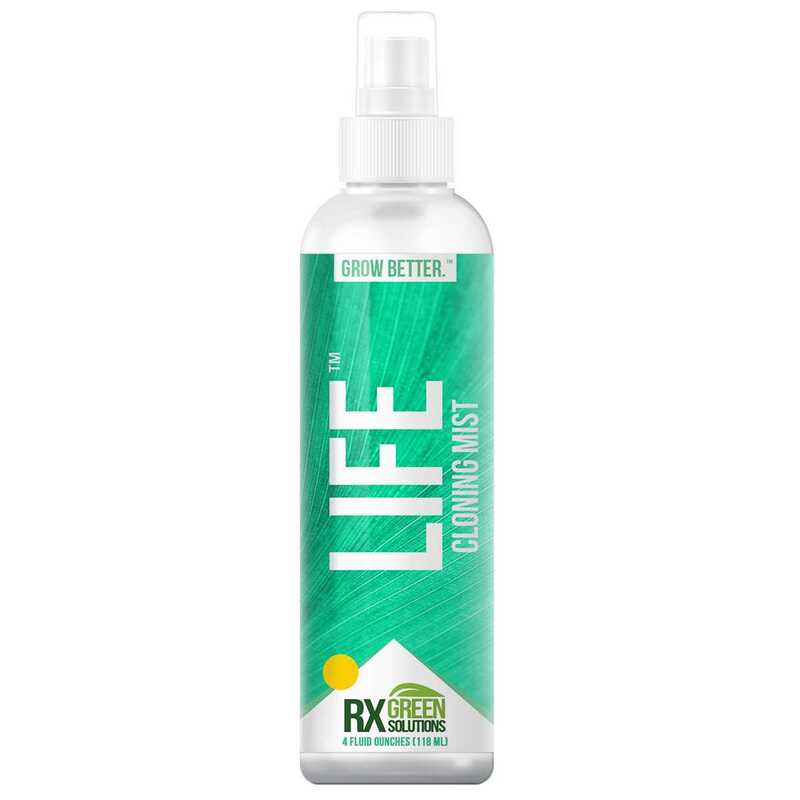 LIFE Mist foliar spray works best when used in conjunction with other Rx Green Solutions products such as LIFE products (LIFE Cloning Solution and LIFE Cloning Gel).